Just a reminder. 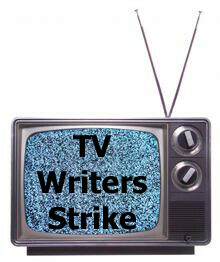 If you're wondering how many more episodes your TV show has left to air or wondering how the writers strike is affecting upcoming shows, be sure to check out this post: Writers Strike Update: Ultimate Guide To How the Strike Will Affect TV Shows. I'm updating it daily with new information as well as keeping a good countdown of how many episodes remain for each show when possible. How are you dealing with the writers strike? I'm watching less and less television (except for football) and saving many of those shows for what I expect to be a dearth of decent TV programming to watch next year. I've also stockpiled a good amount of movies to watch so if my life ever slows down enough to watch some shows or movies, I'll be ready.